His Holiness the 14th Dalai Lama – is this houston? 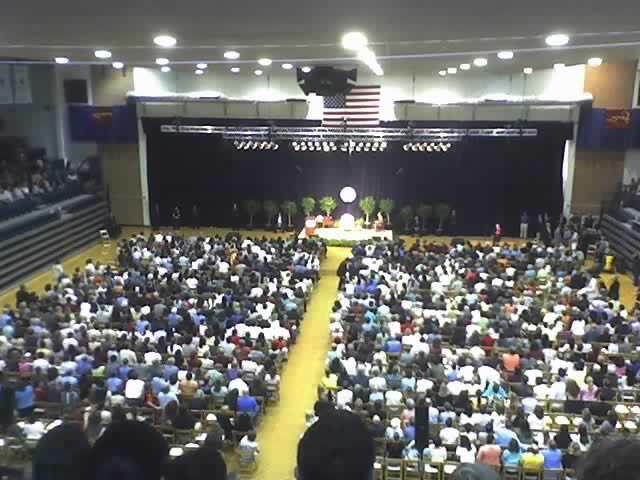 I was lucky enough to see and hear the Dalai Lama speak at Rice University yesterday. He spoke of several principles regarding compassion, true forgiveness, and religious tolerance. He is the illuminated white light in the center.